The Wisconsin Sleep Cohort Study estimated in 1993 that roughly one in every 15 Americans were affected by at least moderate sleep apnea. It also estimated that in middle-age as many as 9% of women and 24% of men were affected, undiagnosed and untreated. A person with Sleep Apnea may not be aware of their own condition. 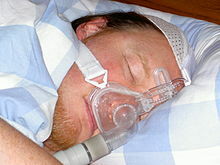 Sleep Apnea is usually recognized by someone witnessing the symptoms displayed by the sufferer. Sleep Apnea can go on for several years without realizing. The sufferer may show daytime sleepiness and fatigue or a significant level of sleep disturbances. 1) Central Sleep Apnea (CSA):0.5%. In pure central sleep apnea or Cheyne–Stokes respiration, the brain’s respiratory control centers are imbalanced during sleep. Blood levels of carbon dioxide, and the neurological feedback mechanism that monitors them, do not react quickly enough to maintain an even respiratory rate, with the entire system cycling between apnea and hyperpnea, even during wakefulness. The sleeper stops breathing and then starts again. There is no effort made to breathe during the pause in breathing: there are no chest movements and no struggling. After the episode of apnea, breathing may be faster (hyperpnea) for a period of time, a compensatory mechanism to blow off retained waste gases and absorb more oxygen. 2) Obstructive Sleep Apnea (OSA): 85%. 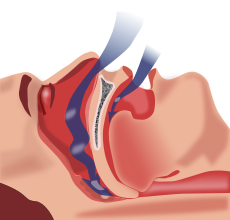 OSA is most common form of Sleep Apnea. Obstructive sleep apnea (OSA) is the most common category of sleep-disordered breathing. The muscle tone of the body ordinarily relaxes during sleep, and at the level of the throat the human airway is composed of collapsible walls of soft tissue which can obstruct breathing during sleep. Mild occasional sleep apnea, such as many people experience during an upper respiratory infection, may not be important, but chronic severe obstructive sleep apnea requires treatment to prevent low blood oxygen (hypoxemia), sleep deprivation, and other complications. Individuals with low muscle tone and soft tissue around the airway (e.g., because of obesity) and structural features that give rise to a narrowed airway are at high risk for obstructive sleep apnea. 3) Mixed Sleep Apnea (MSA): 14.5% Some people with sleep apnea have a combination of both types. When obstructive sleep apnea syndrome is severe and longstanding, episodes of central apnea sometimes develop. The exact mechanism of the loss of central respiratory drive during sleep in OSA is unknown but is most commonly related to acid–base and CO2 feedback malfunctions stemming from heart failure. There is a constellation of diseases and symptoms relating to body mass, cardiovascular, respiratory, and occasionally, neurological dysfunction that have a synergistic effect in sleep-disordered breathing. In some cases, a side effect from the lack of sleep is a mild case of Excessive Daytime Sleepiness (EDS) where the subject has had minimal sleep and this extreme fatigue over time takes its toll on the subject. The presence of central sleep apnea without an obstructive component is a common result of chronic opiate use (or abuse) owing to the characteristic respiratory depression caused by large doses of narcotics. 5) Genetics: Larger tonsils, bigger neck circumference, smaller airway etc. 1) Behavioral Therapy: Requires lifestyle changes such as avoiding alcohol, sleeping pills, muscle relaxants, and all other forms of sedatives. Losing weight through exercise and having a balanced diet. Quitting smoking. 2) Sleep with 30 degree elevation on upper body. 5) Medication: Acetazolamide, helps to encourage breathing. A form of diuretics. Also used for treatment in high altitude sickness, hypoxia etc. 6) Oral appliances: General dentists can fabricate an oral appliance. The oral appliance, called a mandibular advancement splint, is a custom-made mouthpiece that shifts the lower jaw forward and opens the bite slightly, which opens up the airway. Oral appliance therapy (OAT) is usually successful in patients with mild to moderate obstructive sleep apnea. OAT is a relatively new treatment option for sleep apnea in the United States, but it is much more common in Canada and Europe. 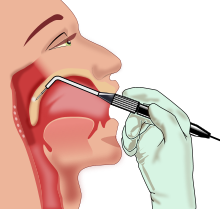 7) Surgery: Some tissue parts around airway may be removed to open up width of airway, or some plastics may be inserted to dilate the airway, or prevent collapsing of airway during sleep. 8) Alternative treatments: Strengthening muscles around upper airway (Tongue Muscle Training method), Yoga, Meditation, TaiChi, QiGong. This entry was posted in Health and tagged Excessive daytime sleepiness, Obstructive Sleep Apnea, Sleep Apnea. Bookmark the permalink.